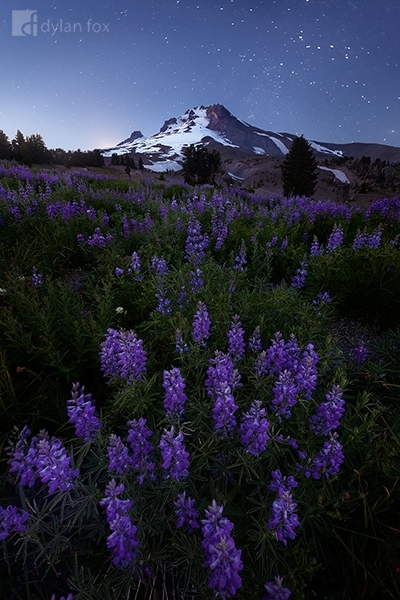 Mount Hood photographed under the stars of a clear night sky. The beautiful wildflowers just set this scene off. I had to set my camera up and find my composition before leaving it there to return to the car to escape the freezing conditions. I took too long and my hands were completely numb making it very difficult to adjust camera settings. Mount Hood is about a 90 minute drive from Portland although is clearly visible from there. Secure your limited edition, Mount Hood photographic print, 'Mount Hood', by selecting your desired print size in the menu to the right.